In a world full of labels, the Hyundai Kona gets tagged as a compact crossover SUV. That is a fairly apt description of its size and price, but only tells part of the story. It is indeed a small package, but let's remember that those contain good things. We tested the 1.6-liter turbocharged GDI inline-4 with 175-hp making 195 lb-ft of torque at 1500 to 4500 rpm and a 7-speed dual-clutch transmission. Its Drive Mode Select on Sport was quite useful when on-ramping freeways. This years wet winter in Northern California was a good challenge. The Sport mode gripped the corners by tweaking the suspension with plenty of support. With American road infrastructure full of unexpected bumps and potholes the basic suspension took them all in stride and with a degree of unexpected comfort. 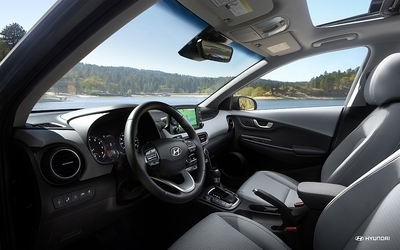 The tech side includes a rearview camera, an eight-inch navigation touchscreen along with a wireless charging pad, Bluetooth, two USB ports, and Apple CarPlay and Android Auto. 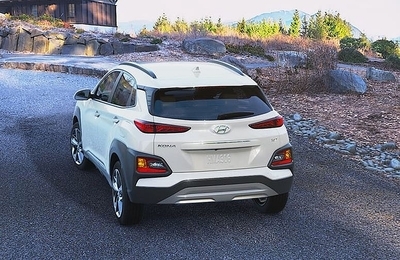 The Ultimate trim also has rear park sensors, automatic high beams, pedestrian detection for the forward collision avoidance system, automatic wipers, a head-up display, and an eight-inch navigation touchscreen along with a wireless charging pad. My personal favorite of these features in the head-up display which gives you driver info without having to look away (great for twisty foothill road) as well as voice commands and a plethora of sensors keeping tabs in all directions. Hyundai's famous 10-year/100,000-mile drivetrain warranty is still way ahead of its competitors. 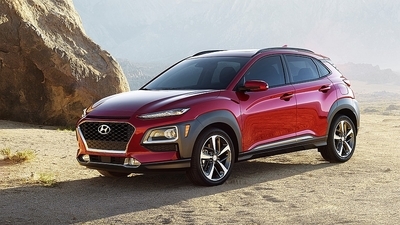 In its second year, the reliability predictions are still undetermined, however one good sign is that there have been no recalls for the Kona as of yet. So, if you are an urban commuter on a budget, this years Kona is worth adding to your test drive list.